Createspace Independent Publishing Platform, 9781484082423, 202pp. 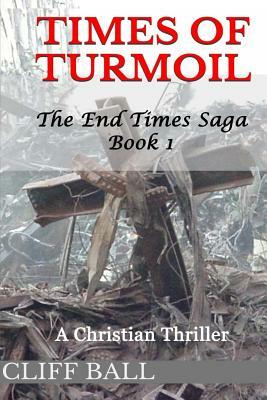 In this first novel in the Christian fiction series, The End Times Saga, we follow how the Evans family gained their riches and eventually their power to influence events in the United States. We see important events that the Evans family gets themselves involved in: such as the return of the Israelites to Israel, the assassination of President Kennedy, the terrorism of 9/11, and other events that eventually lead to government tyranny in the United States. Cliff Ball is a Christian, lives in Texas, has two BA's, and a Technical Writing Certificate from the University of North Texas. He has published ten novels, Times of Turmoil being the tenth. Visit his site at cliffball.net to find out more about his novels.